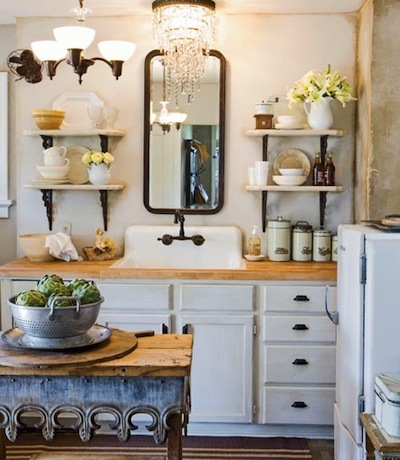 This little beauty of a kitchen caught my eye the other day with its vintage accessories. 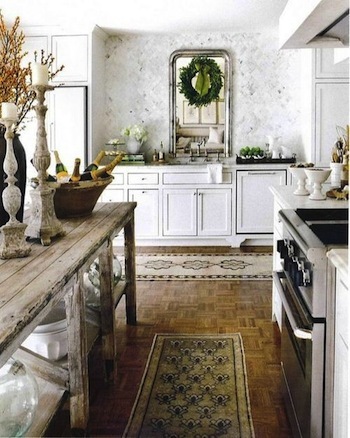 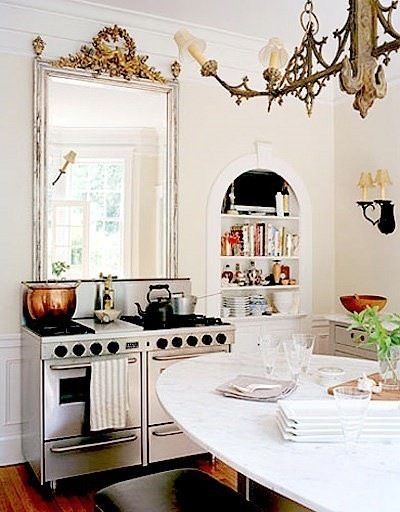 Most specifically the unexpected yet perfect placement of the crystal chandelier and mirror over the kitchen sink. 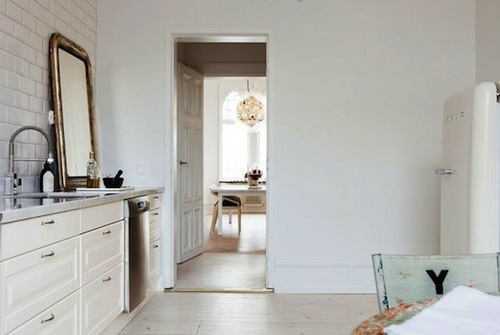 Why should the designated dishwasher have to stare at a wall? 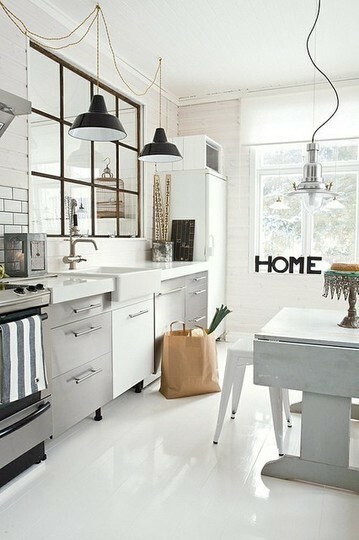 And so, of course, I found some other applications of decorative mirrors in kitchens. 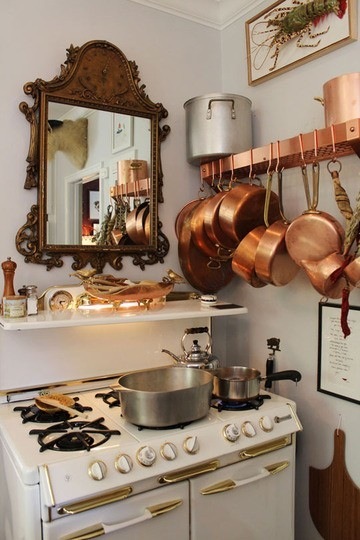 All wonderful additions to their respective spaces whether they provide a necessary function of reflecting much needed light into a darker space or simply allow the chef a pleasanter view while crafting his or her gourmet dinner.